Nobex 4-8 Block Frame Clamp is a simple clamping tool used for joining picture frames. 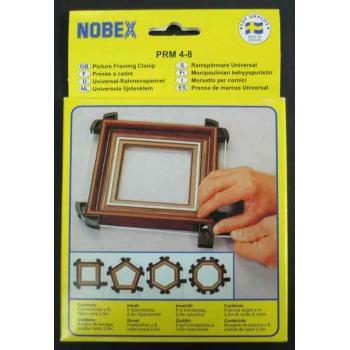 It comes with eight corner block which allow you to join multi-angle frames as well four sided frames. Use in conjuction with PVA glue and V nails.